This entry was posted on August 22, 2018 by Rick. Thanks for the discussion on the FCC's strange citation against Amcrest. It seems to me that something is fishy in Maryland (FCC HQ). The FCC certified the radio. The federal government allowed the radio to be imported. Unless Amcrest modified the radio, the radio isn't actually the one the FCC certified, or the radio doesn't have the proper FCC ID on it, then Amcrest should have zero liability. As an Amateur Extra and a VE, I find this to be nothing short of an abuse of power by the federal government. I further believe it is most likely an attempt by the FCC to placate other manufacturers who have lost a lot of revenue to "cheap Chinese imports". On the other hand, there are a lot of radios being sold online that show up without any FCC ID on them. In the Baofeng case, my research indicates that such radios are most likely "fake". The day is now here that the "cheap Chinese knockoffs" are being knocked off. Thanks for discussing the issues on this. I think the terms you guys are looking for in your discussion about the UV-5R and other such radios is 'channelized' (always required under part 90 rules) versus 'frequency agile' (front-panel programmable) radios allowed under ham radio rules (not allowed under part 90 rules). Business radios can be CTCSS or DPL agile but the transmit frequencies must be programmed by a licensed technician and then locked in by firmware or hardware (a jumper on the circuit board for example) and inaccessible to the operator. They are going after the retailer and not the manufacturer since the retailer is in the US. The mfg is in china why out of the FCC reach. 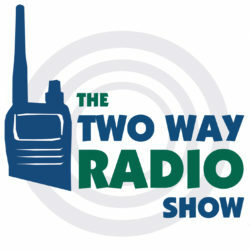 Thanks for the useful discussion of the Baofeng radio and the FCC. I see this as a great example of how the FCC really isn't paying attention to their own rules combined with some manufacturers that are not always understanding or being careful with meeting FCC rules. Its kind of like Dumb and Dumber!